It seems that home staging is all the rage in selling your home these days. Is home staging worth all the hype? The data suggests so. Here is a link to a great infographic about home staging which references a study done by Coldwell Banker which found that staged homes sell in half the time, and for 6% more money. Home staging, when done right, will also make your listing stand out online. About 90% of people use the internet as part of their home search, so it is critical that your house show well both in person and online. Without further ado, we sought out the opinions of home staging experts across the country to compile a list of home staging tips based on a series of different questions. She continued by saying “Therefore, my number 1. thing a seller can do is to do a DEEP CLEAN. – closets, walls, windows, floors, appliances, plumbing and cabinets. People can feel clean. You can paint a wall and make it fresh, but if the house isn’t clean, people will get squemish. Kate Case, the owner and a designer at Kate’s Home Staging said “Definitely, de-cluttering and cleaning your home. Both of these items do not cost any money; it will only take time.” She also mentioned that many professional home stagers will offer an initial consultation for around $200, which can be really helpful for prioritizing what needs to be done. Tori Toth at Stylish Stagers has been trained by HGTV Star Matthew Finlason of “The Stagers” focusing on target staging and lifestyle merchandising to showcase spaces that aspire to buyer’s dreams. She offered this advice: “If you have a tight budget it’s still important to prepare your home for sale with home staging. The biggest bang for your buck, de-cluttering and cleaning both of these projects take up more of your time than money, but can make a huge impact on the overall look of the room. Curb appeal is particularly important when trying to lure in buyers, so spend a weekend doing some yard work, remember to cut the grass, weed and spend your money on mulch, a new welcome mat, flowers, new house numbers and lighting (if needed) and a can of paint for the front door. Speaking of paint it’s the cheapest and easiest way to update a space, so consider spending your money on painting your home a neutral color. Cindy Bryant of Redesign Etc. Home Staging in Houston said for a budget home staging tip that “the first would be to paint using a neutral color, not white. I would recommend a greige color, a cross between beige and gray. She also talked about de-cluttering and doing a thorough cleaning, but also added “Replace outdated hardware or lighting. I can’t tell you what a difference a new light fixture will make for usually less than $100. It automatically updates and upgrades a room. If your budget is tight, replace only impact key rooms.” Cindy also said that paying for at least a home staging consultation was some of the best money you can invest in selling your home. A professional stager can let you know where your best ROI will be. Darcy Kempton, the principal designer at Simply Stunning Spaces in San Diego said people should consider spending money on a virtual staging consultation. 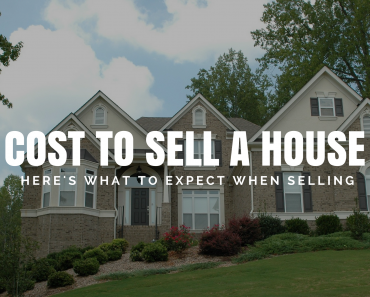 “Most people in general have trouble visualizing something that isn’t there and its hard for potential buyers to look past the obvious flaws and outdated parts of the home. On top of it, most times they don’t have any clue how much it would cost them to re-design the home to their liking. Simply Stunning Spaces bridges this gap and helps homeowners (and Realtors) by giving them a digital image they can use on their MLS listing and for all of their marketing materials, that showcases the home in its absolute best light possible.” They provide some virtual staging examples in their online gallery. Sandra Holmes of Home Staging Concepts in Fort Lauderdale said “Many homeowners set aside approximately $5,000.00 to prepare their properties for sale. Many times the investment is used to update things that should have been taken care of while they were living in the home and never got around to it. Curb Appeal is very important as you want to get the potential buyers in the door. We are in the age of the so-called “DIY-er” – the person who wants to do everything themselves. With the access we have to Pinterest and YouTube, there are no shortage of good ideas and plans that we can follow for our next DIY project. While there are certainly things you can do yourself to prepare your home for selling, there is also value in hiring a professional. I already know about de-cluttering and cleaning up, what is the advantage of hiring a professional home stager? Michelle Minch of Moving Mountains Design in L.A. has some great input about the value of home staging based on personal experience. She said “The advantages to hiring a professional home stager? I’ve staged or consulted on more than 500 homes that were about to go on the market as the owner of Moving Mountains Design. I know what makes homes sell! Lorraine Alwaise of Design Milagros said “Being in San San Francisco, staging is a hot commodity. Many brokers will not list a home unless the owners agree to stage it professionally. They understand that the return is 3 to 4 times the costs incurred. When you consult with home owners, what is the most common mistake you see them making as it relates to home staging? “1. Removing too much furniture and accessories from the space, so that the home feels sterile. Yes, you want to de-clutter and depersonalize, but you still want potential buyers to fall in love with the place. This means using furniture and accessories to create a vision of what it might be like to live there and of course, to showcase the home’s best features. This is definitely where a staging professional comes in handy – they can tell you what to keep, what to put in storage, and what pieces need to be rented or purchased to create a space that buyers will love. Brandy Anderman of The Missing Piece Design in Austin had this to say “One of the most recurring issues that comes up when staging homes for sale is owners are unable to remove their personal items/decor. The goal of staging is to try to present each home as a neutral setting to allow anyone who walks in to feel as though they understand the intended use of each space. Then the potential new homeowners can visualize how their items could easily work in the house to make it express their personality and taste. Besides the obvious things like cleaning up, what is one creative staging idea people can do for very little money? Amy Powers of Accent Home Staging had this to say “It’s important for seller’s to see their home as a marketable product. Just like a display at a department store, it’s very important for them to wrap their head around preparing it to ‘show off’. Let’s start off with the Palindrome of a Staging Design, P A S A P (Plan, Assemble, Size it Up, Accessorize and Paint). Some practical and inexpensive ideas include planning out each space to represent it’s maximum potential. A dining area should look like a dining room, etc. After a plan, assemble all the big pieces, i.e. table and chairs. Then size it up, make sure room has flow and the space looks as large as possible. Then accessorize with a trendy runner, centerpiece and artwork/mirror that speaks to all generations, not just one. Never place artwork in hallways or staircases as they psychologically take up personal space. This look is called transitional style, somewhere between modern and traditional. Lori Murphy at Element One Home Staging had a great tip to update your bathroom. “As you know, bathrooms can be a big part of the buying decision; updating light fixtures can be done for as little as $30. Lori also offers a Consumer Guide To Home Staging on her website. Click here to check it out. Kim Ausbury of Staged & Styled had a great solution for outdated bedding “Something that sellers can do that doesn’t cost anything is to neutralize their bedding by flipping the comforter and shams over to the solid side. I just staged a house yesterday and the master bedroom was floral overload, i.e., floral border, floral comforter, floral shams, floral window treatments, etc. The sellers did not have the time or budget to take down the border or repaint the room. In order to get the room to appeal to men, as well as women, we simply flipped the comforter and the pillow shams over to the solid colored side, took down the floral window treatments and the room felt a lot more welcoming for both male and female. Lori Matzke of Home Staging Expert has a wealth of experience in staging and continues to train other stagers around the country. She shared this advice: “Besides fresh paint, and updating the lighting fixtures and cabinetry hardware, my best advice would be to create more visual square footage through editing and arrangement. Space sells, even if a buyer is downsizing. They want to see a house that has plenty of room and doesn’t feel cramped. To achieve this, remove furnishings that don’t absolutely need to be there, float major seating 8”-12” off the wall, remove any unnecessary area rugs, and never layer an area rug over carpeting. Area rugs just tend to break up the space and make it feel even smaller.